Our offices are equipped with some of the most advanced eye care technology available. 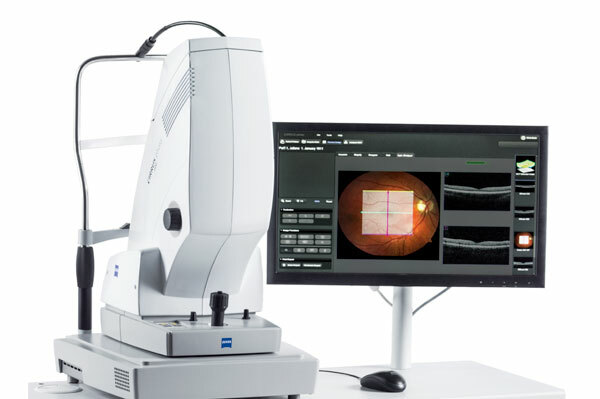 OCT is the ultimate tool for precise diagnosis and treatment of glaucoma. It is a retinal scan used to study the anatomy of the retina and optic nerve in fine detail. It has the ability to image individual layers of the retina so multiple analyses for glaucoma can be performed. The instrument never touches your eye – there is no discomfort. The exam takes just a few moments. It is a painless, non-invasive test and dilation of the eye is usually not necessary. The HRT is the most accurate way to follow the progression of glaucoma. Your health care specialist may schedule repeat examinations periodically to track the progress. 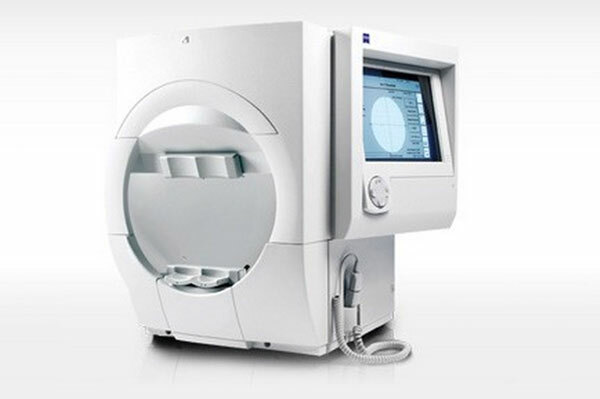 An instrument used to examine the anterior and posterior segment, or frontal structures of the human eye, which includes the eyelid, sclera, conjunctiva, iris, natural crystalline lens, and cornea. 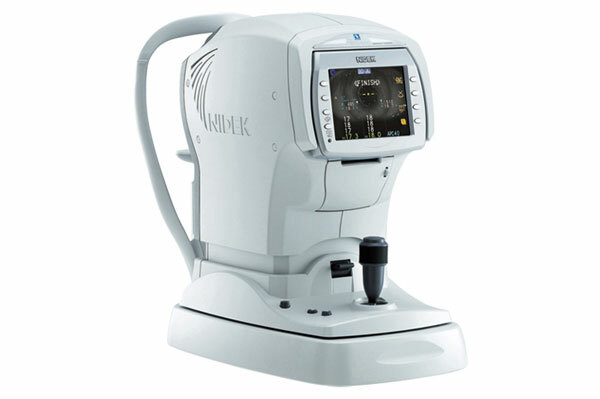 It checks the corneal surface as well as the anterior chamber of the eye. 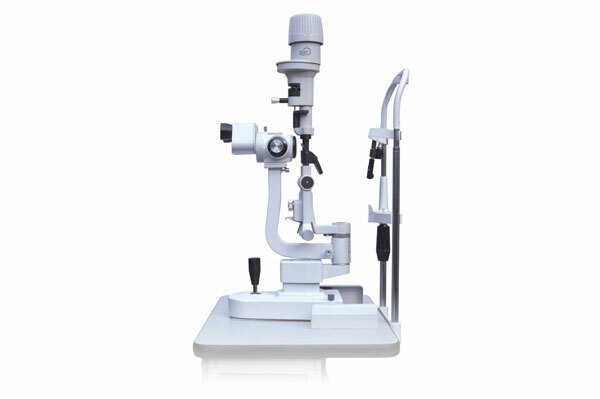 This instrument is of critical importance in determining the nature of corneal disease and infection (i.e. “red eye”). A computer-controlled instrument used during an eye examination to provide an objective measurement of a person’s refractive error and prescription for glasses or contact lenses. 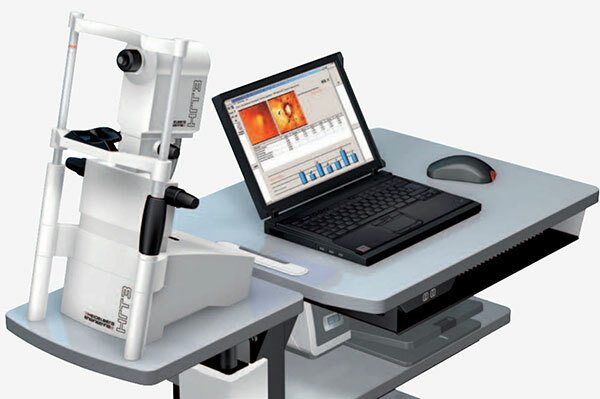 This technology is used to provide the starting point for the optometrist in subjective refraction tests. Automated refraction is particularly useful when dealing with non-communicative people such as young children or those with disabilities. Instrument for measuring tension or pressure. It determines the intraocular pressure (IOP), the fluid pressure inside the eye. It is an important test in the evaluation of patients with glaucoma. A medical device used to measure the thickness of the eye’s cornea. 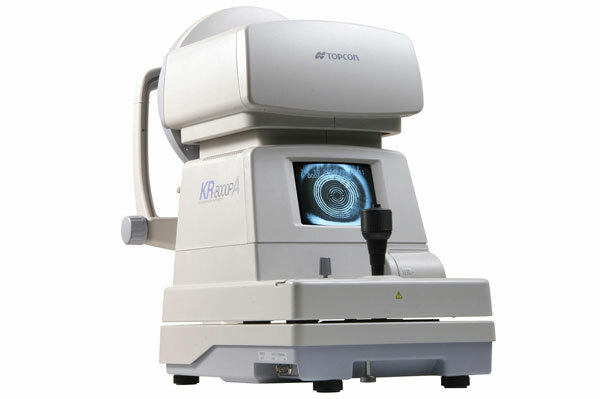 It is used to perform corneal pachymetry prior to LASIK surgery, for Keratoconus screening and LRI surgery. It is also useful in screening for patients suspected of developing glaucoma among other uses. The visual field instruments measure how much of the retina can be reached by light from the external environment. This exam is used to determine whether the visual field is affected by diseases that cause local scotoma or a more extensive loss of vision or a reduction in sensitivity (threshold). This test is also useful to detect glaucoma and cataracts. It is a non-invasive medical imaging technique for mapping the surface curvature of the cornea, the outer structure of the eye to determine the quality of vision. It can assist in the diagnosis and treatment of a number of conditions; in planning refractive surgery such as LASIK and evaluation of its results; or in assessing the fit of contact lenses. 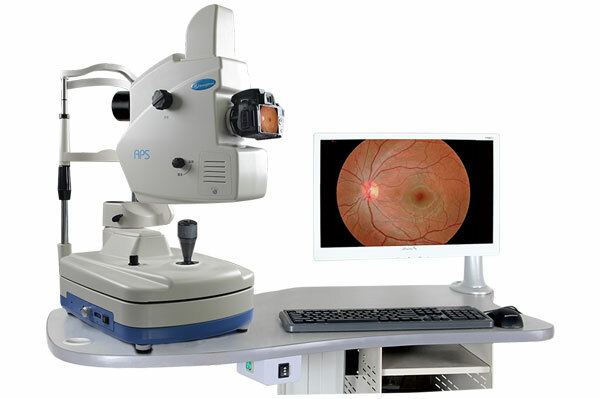 It is a specialized low power microscope with an attached camera designed to photograph the interior surface of the eye, including the retina, optic disc, macula, and posterior pole (i.e. 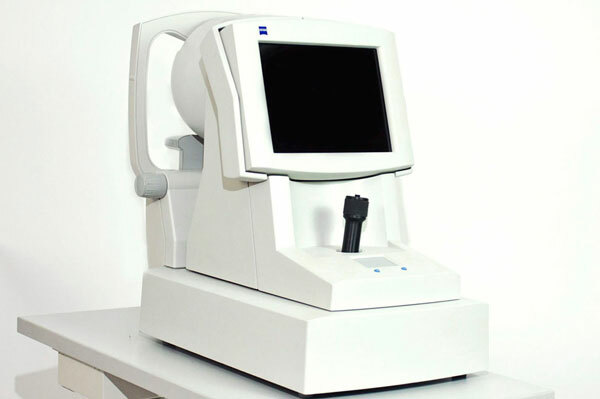 the fundus).The instrument is used for monitoring progression of a disease, diagnosis of a disease (combined with retinal angiography), or in screening programs, where the photos can be analyzed later.